Introducing, MiaProva – an Optimization Management Platform! Home &gg; Blog &gg; Testing and Optimization &gg; Introducing, MiaProva – an Optimization Management Platform! Last month marked five years since I joined the team at Analytics Demystified as a Partner to oversee and manage the Optimization Program. It has been an incredibly fun and productive five years. Looking back, I have had the great opportunity to work with dozens of amazing companies and make substantial positive contributions to their optimization efforts and programs. 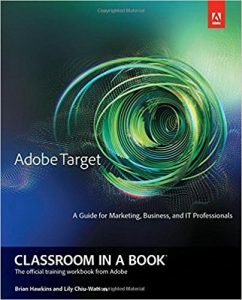 I was also quite busy writing as I had nearly a half dozen white papers published and I co-authored a book on Adobe Target! The book did quite well and I am quite proud of it. While I haven’t been so good about blogging, despite having a growing list of a couple hundred blog post titles, I have a good excuse. I’ve been busy working on something else that I want to introduce you to today. At Demystified, I have helped many organizations with these challenges and will continue to do so, but I wanted to build something that consolidated all of the proven and effective methods to tackle these challenges into a product for the broader testing and optimization community. And with that, I want to introduce you to MiaProva! MiaProva is the industry-first Optimization Management Platform that facilitates value based testing, advocates innovation through testing, and provides ground breaking new technology to assure tests’ operational scalability and excellence using custom alerts and notifications. MiaProva combines proven and well established processes that allow organizations to grow and get the most value out of their optimization programs as quickly and efficiently as possible. MiaProva has two key purposes. The first is to lay a solid operational foundation for organizations to get the absolute most out of their testing program, testing solution and from their digital consumers in terms of learnings allow you to provide them with the most ideal experience. The second key purpose it serves is enabling organizations to advance their program both technically and strategically. Once the solid operational foundation is in place, scaling the program and incorporating new concepts like Automation and advanced personalization is a lot easier and much more effective. To be clear, MiaProva is NOT a testing solution nor does it want to be or will ever be. MiaProva will work alongside any first or third party testing tool you are using. For you Adobe Target organizations though, MiaProva works seamlessly with your Adobe Target account. Given my expertise of Adobe Target, I made heavy and strategic use of Adobe’s legacy and new I/O APIs to make MiaProva do much of the work for you! Here are just a couple of ways MiaProva can work and add value for you and for your organization with a past, present and future perspective of test state. All too often organization’s struggle with establishing and maintaining solid test knowledge libraries. Typically test results sit in email boxes or in the memories of the people of that executed them. For example, let’s say an organization wanted to quickly see what were the most impactful tests run on the homepage over the last year OR wanted to see what test audiences or segments impacted AOV the most AND wanted to see the actual results coupled with screen shots of the test content. That can be tough for organizations. MiaProva automates the process of data collection and leverages proprietary software to grab screenshots of tested content. Every test that goes through MiaProva is automatically part of the organizational knowledge base. Simply taking advantage of this feature will save considerable time and effort by avoiding testing the same thing over and over and will allow for greater consumption of test learnings so as to enable the broader organization to take advantage of them. MiaProva provides a quick view of direct test impact to organization metrics on the your MiaProva homepage and on the program overview page. Programmatically associating key test meta-data with each test for quick and easy search and filtering. MiaProva plays a big role here. Organizations can easily fall victim to many potential issues when several tests are running across their digital properties. Organizations also struggle with when to pull a test down or to let it run a bit longer. Issues also arise around test performance. Alerts – MiaProva will alert you if your test is getting no visits, no conversions, or if it falls below OR above certain basis points thresholds in terms of impact to key success events. Sample Size – MiaProva incorporates statistical concepts that prevents organizations from accidentally calling test results too early. There is a serious problem in the testing community in regards to the limited use of sample size calculators and calling tests results. MiaProva alleviates that risk and enforces strategic best practices that allow organization to make the proper test interpretation. Consumer Experience Issue – MiaProva takes a screenshot each day of your visitors experience as a record of what the experience looked like. This is very helpful to have but nowhere near as helpful as being notified by MiaProva when your server side CSS selectors change when they are being used in your test offers! MiaProva’s patent pending technologies evaluate these issues for you to mitigate substantial risk in a heavy visual editor world that makes use of such selectors. If you would like to learn more please check out some of the videos at MiaProva or reach out with any questions. And lastly, because I love technology and geeking out, we created a MiaProva App! This was a fun little side project to begin with but turned into something pretty cool. I live in an Alexa/Siri world at my house. It started with just lights and temperature then shifted to weather to cheesy jokes. My kids are constantly telling Alexa to play songs and I personally enjoy NPR with Alexa. Anyways, MiaProva the App leverages MiaProva APIs and Adobe Target APIs (for Adobe Target customers) to tap into your MiaProva account via voice commands. I am very happy with how it works as you can quickly and easily consume test results and view tests ideas! MiaProva was made to be completely self service and that was by design. I am going to continue with things as I have been doing. At Demystified, I get to be part of and work with some the best optimization organizations out there. I also get to work with the some of the best minds in the industry, my clients, my partners and Team Demystifiers! While I like working with product, I much more enjoy working with and delivering for my clients. MiaProva is just an extension of what I do here at Demystified which is helping organizations with their optimization efforts. MiaProva is and will see continuous investment as well. Currently, two strategic initiatives are being evaluated and prioritized for incorporation. 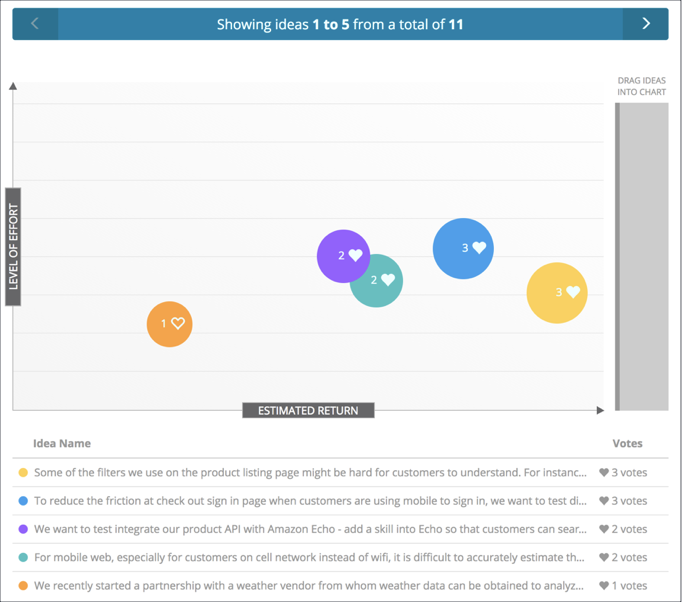 Client and organizational feedback will also be big drivers of the product roadmap. Nothing changes as you will continue to get 110% of dedicated attention and strategic support! We can be of some big help no matter what testing solution you use! For those organizations leveraging Adobe Target, there is a lot of stuff going on in your world. If you need or want assistance with migration to Standard, deprecation of Classic, Training (I’ve been doing TONS of these as of late and the feedback has been great:), A4T, at.js, SPA, integrations, Profiles, Automated Personalization, 1:1, Auto-Target, Auto-Allocate, Adobe I/O, or anything along those lines, please do let me know as we can definitely help! I am going to start working down this massive blog idea list I have. I can cross this blog off my list, but expect to see much more of me here with both a strategic and tactical input as well as some updates about MiaProva!